ENFORCEMENT ACTION IN FULL SWING FOR TAXPAYERS WITH UNDISCLOSED FOREIGN BANK ACCOUNTS. IRS has not yet found you yet? The Internal Revenue Service is not limited to civil enforcement of the tax laws as the result of findings from a tax audit. Beyond a tax lien or seizure of assets, the IRS can also impose criminal charges leading to a conviction, fines and imprisonment. This is why you may need the help of a qualified income tax lawyer. The IRS announced that in each year from 2013 to 2015 about taxpayers reported Bitcoin on their income tax returns. Bitcon transactions are required to be reported by taxpayers on Form 8949, Sales and Other Dispositions of Capital Assets, which gets included with the filing of a Federal Individual Income Tax Return. But we all know, including the IRS, that there are hundreds of thousands of Coinbase account holders. Clearly the apparent transaction volume of bitcoin transactions that have been unreported to IRS must be staggering. The IRS recognizes this and is taking action. A John Doe Summons issued by IRS was ruled enforceable by a U.S. Magistrate Judge Jacqueline Scott Corley in November 2017 (United States v. Coinbase, Inc., United States District Court, Northern District Of California, Case No.17-cv-01431). Under the order, Coinbase will be required to turn over the names, addresses and tax identification numbers on 14,355 account holders. The Court has ordered Coinbase to produce the following customer information: (1) taxpayer ID number, (2) name, (3) birth date, (4) address, (5) records of account activity, including transaction logs or other records identifying the date, amount, and type of transaction (purchase/sale/exchange), the post transaction balance, and the names of counterparties to the transaction, and (6) all periodic statements of account or invoices (or the equivalent). • An IRS special agent contacts you for an interview. of Justice Tax Division or the U.S. Attorney’s office. • You receive notification of a tax audit by the IRS. If an IRS Special Agent contacts you,You will be advised that you are not required to speak with the Special Agent and that you may have an attorney present. Take this advice. Politely ask the agent to leave and state that you wish to consult an attorney. Likewise, if you are currently under criminal investigation and have been cooperating and talking with a Special Agent, stop cooperating immediately and consult with one of our tax attorneys in California. If your accountant is subpoenaed to appear before the Grand Jury and bring your records, a Federal Grand Jury is being utilized to conduct a criminal investigation of you and/or your company. The Grand Jury is gathering evidence at the request or referral of the IRS or another government agency. Since conversations with your accountant are not protected under “attorney-client privilege,” you should refrain from further discussion with your accountant until you have engaged legal counsel for help with your IRS tax problems. 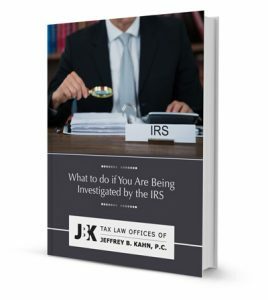 If you receive a notice from the IRS that one or more of your previous tax years are being audited AND you know that the returns contain either understatements of income or overstatements of deductions, or both, you should refrain from further discussion with your accountant until you have engaged legal counsel. Although this is initially only a civil audit, Revenue Agents are trained to be on the lookout for and refer fraud red flags to the Criminal Investigation Division. Existing “accountant-client privilege” does not extend to criminal investigations, meaning that your accountant may be forced to provide details to the Internal Revenue Service about your situation. The IRS has increased its enforcement efforts and gained significant momentum mandating compliance by taxpayers in disclosing foreign accounts. Since 2009 the IRS gave taxpayers a chance to come in voluntarily and avoid going to jail. With the IRS’ mining of information it has received over the last few years, the IRS has launched its next wave of investigations on banks, bankers, intermediaries and taxpayers. By being proactive and entering into a Voluntary Disclosure Program, you can avoid criminal prosecution. For more information and how you can avoid being a target of the IRS, click here. If any of these events happen to you, you should immediately engage the services of a criminal tax attorney who can monitor and respond appropriately at the earliest stage in a criminal investigation, including obtaining copies of bank records turned over to the IRS, quashing summons for information, utilizing available legal privileges and defenses to limit personal records turned over to a Grand Jury, and providing the best responses to an auditor’s questions and requests for documents in a civil audit with criminal implications. WE CAN HELP! When the IRS is alleging that you falsified tax materials in order to evade your tax responsibilities, it is prudent to enlist legal representation. The IRS will attempt to hold you responsible on the basis that you signed off on the tax forms. But this may not be the case for you if the false documents were not your fault or you were not even aware that documents were missing or falsely completed. This can happen when a CPA or another individual has completed your tax documentation for you. fraud, failure to file a tax return, or money laundering, you may believe that you have no options. This is not the case. Securing legal counsel that is both tenacious in its representation and creative in its problem-solving may make that critical difference in your case. Our office can help you mount an aggressive defense by gathering all of the essential documents and ensure that your side of the story is being effectively communicated to the IRS special agents, prosecution, judge and/or jury. The attorneys of the Law Offices Of Jeffrey B. Kahn, P.C. provide comprehensive legal support to clients who are under criminal investigation by the IRS or charged with IRS tax evasion and other serious tax crimes. Contact us today using our toll free number 866.494.6829 or by sending us an email for a prompt evaluation of your case. You may also contact us using our toll-free number at 866.494.6829 or send us an email. 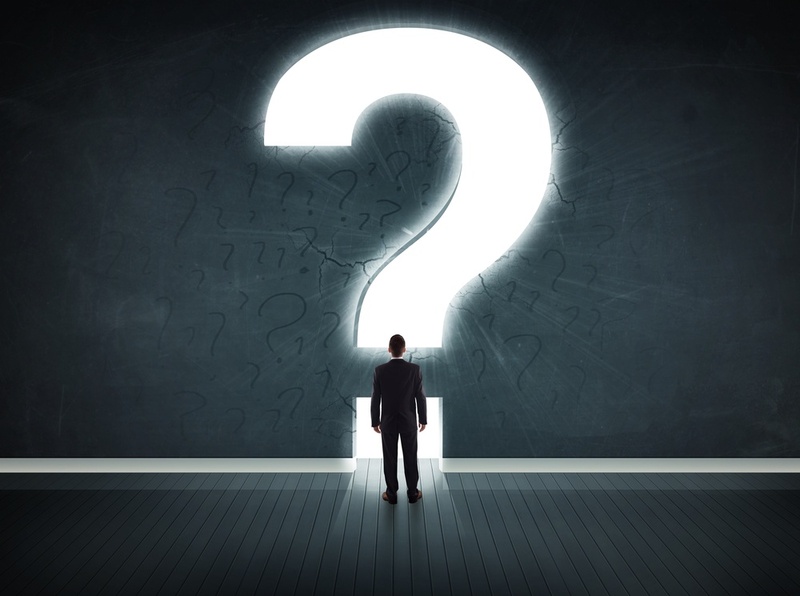 Click here for FAQ’s on Criminal Tax Investigations. What's the Difference Between Tax Fraud and Tax Negligence?